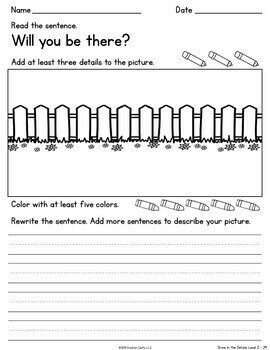 Some writers begin composing their writing by putting words on paper. Others, especially young students, need to sift through their thoughts and draw out details before they can put their ideas into words. 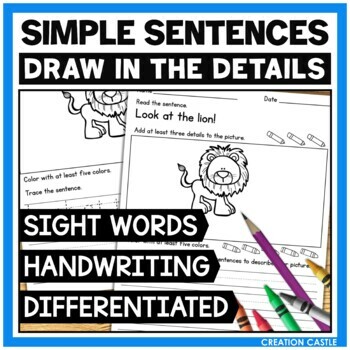 This pack of 60 worksheets is comprised of simple sight word sentences. 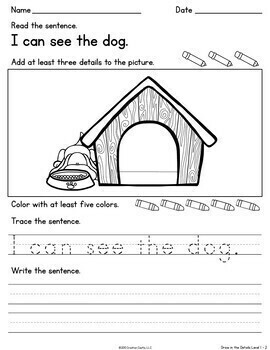 There are 30 unique sentences/picture starters included in your download. 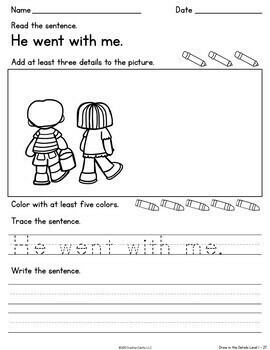 The sentences/picture starters comes in two levels.